Companies in the architecture, engineering and construction industry must deal with critical challenges, and must improve not only how they manage their projects but they also must keep up with the ever-changing regulations, standards and technology, in order to be successful and to get or maintain a competitive edge. 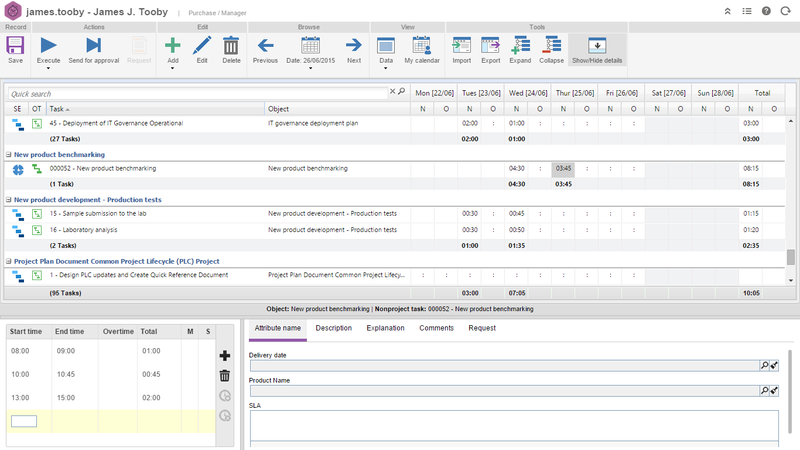 SoftExpert offers the industry’s most advanced and comprehensive software suite for compliance and performance management that meets the stringent needs of the architecture, engineering and construction industry in all aspects from controlling project, risks to performance indicator monitoring, environmental, health and safety management and much more. The solution enables architecture, engineering and construction companies to continuously improve operations by integrating in a single platform of different management frameworks including; managing projects and related documents, risks, regulations, performance, audit controls, incidents, suppliers and much more. By offering staff with insight in their role in end-to-end activities, they become better able to recognize opportunities improvement and keep up with the dramatic shifts in the industry’s competitive environment. Powerful support for collaboration with co-workers across organizational boundaries then enables them to play a central role in making smart improvements in the way the organization serves its customers. 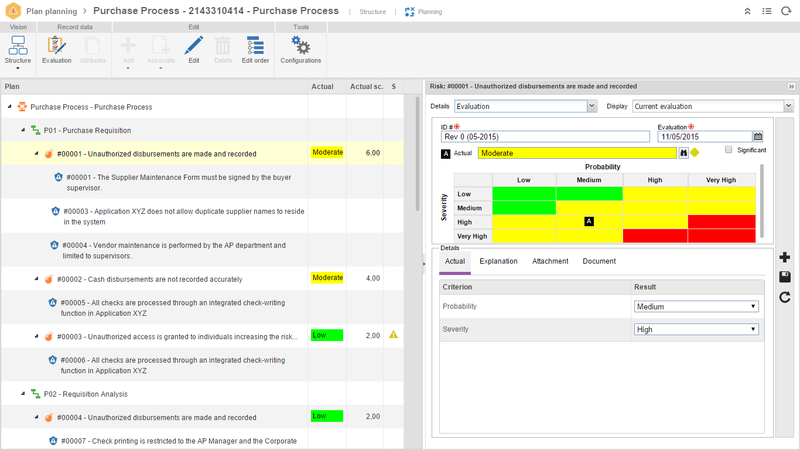 SoftExpert Excellence Suite simplifies and standardizes excellence and compliance management processes by providing a software platform with a central point of access to all up-to-date process documentation, process KPI’s, related documentation such as policies, templates, procedures and task related applications, as well as an online platform for registering suggestions, risks, complications and initiatives. Edits and shares project data in real time. 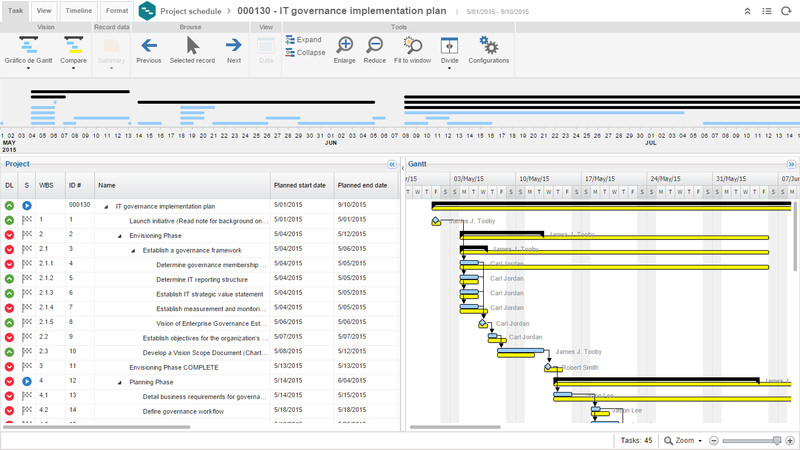 Task precedence inter-relationships (Work Breakdown Structure-WBS) on Gantt charts, critical path, precedence net, and milestone. 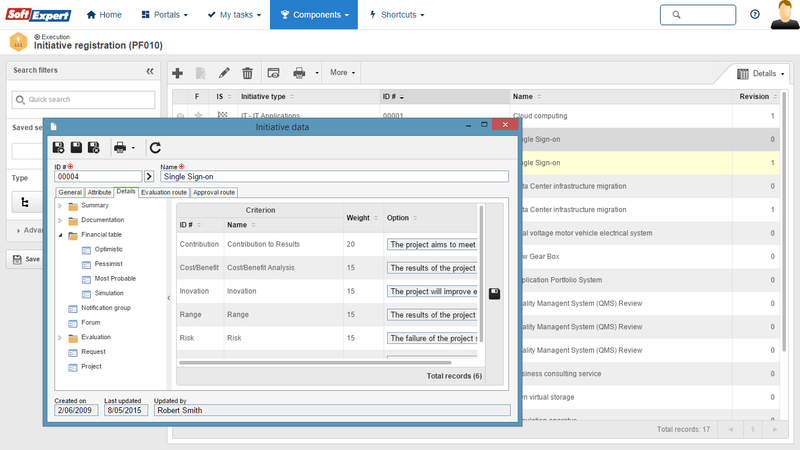 Identifies risks and analyzes their impact on projects. Manages all project documents. Automatically updates and approves the document revision process. 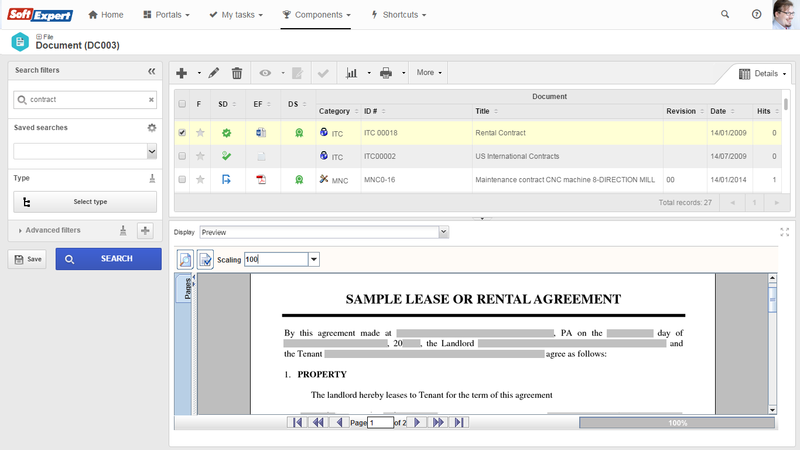 Allows for the organization of documents into nested categories. Provides for the effective and efficient management of a document's life cycle. Allows for the automatic population of a document body with information already stord in the database - MS Office and AutoCAD. Tracks inventory transactions to help improving parts and materials management. Reduces costs by eliminating excess or obsolete inventory. 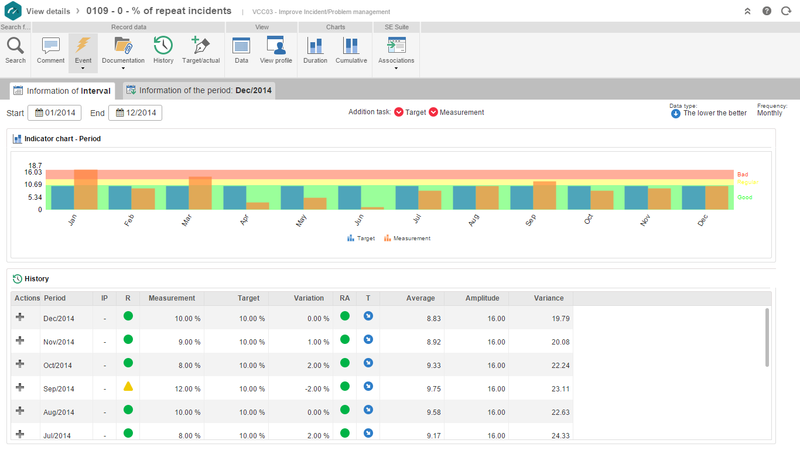 Helps optimize and plan inventory to accurately meet maintenance and production demand. Read this eBook and learn how to successfully manage your company’s asset, improve asset performance and reliability.